We’re lucky to live in a city that has so many restaurants to choose from — no matter what we’re craving. But sometimes, it’s nice to stay in and enjoy a home-cooked meal on the patio. If you’re in need of a little inspiration for your next meal, browse through a few of our favorite dishes from local Nebraska bloggers. They’ve certainly mastered the art of summer cooking using seasonal produce that can be found at local farmer’s markets. Celebrate the sunny season with a few recipes to fit any occasion! If you’re living life to the fullest in the Midwest, you probably have plenty of summer barbecues on your calendar. Whether the occasion is July Fourth, the Collegiate Baseball Championship or just a day under the summer sun, you’re going to need plenty of food to feed the masses! Nothing says summer like a red, white and blue treat! Whether you’re feeding a neighborhood or just your hungry family, these muffins from Lille Punkin offer a unique, slightly savory option. You can add cranberries for extra red color or just leave it to the sweet potato. With blueberries, cinnamon and nutmeg thrown in, you’ll want to keep this recipe around all year. This recipe from Amber at Stirlist is a fail-safe way to impress everyone this season. With Greek yogurt in place of the traditional mayonnaise as well as added fruits, nuts and other goodies, you can turn a classic barbecue staple into a healthy treat! 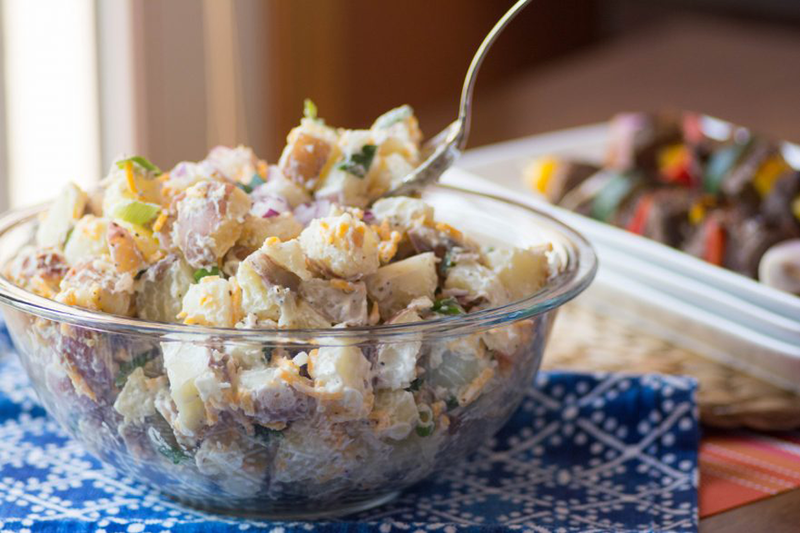 We all know you have to have potato salad at a summer barbecue, but we don’t always realize it’s one of the easiest dishes to add exciting flavors to! This rendition is reminiscent of a baked potato and pairs excellently with steak — or any other grilling staple. The best part is Amber at Stirlist uses a few tricks to turn it into a healthier option. 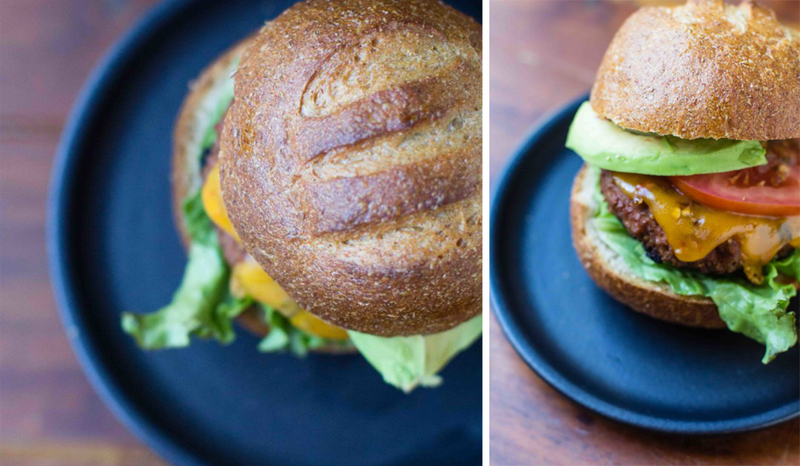 If you’re already grilling up burgers this summer, you might as well take them up a notch, right? Janelle from Bakes in Slippers teamed up with Whole Foods to prepare a Mexican-inspired meal with Beyond Burger, a plant-based patty. You can try out your own Beyond Burger patty or use regular beef and keep it classic. Summer is the perfect time to take advantage of Nebraska’s and Iowa’s recreational landscape. Whether you’re spending time around Zorinsky Lake or exploring a local attraction (we suggest Lauritzen Gardens and Fontenelle Forest to start), you and the family are going to need some fuel on-the-go. 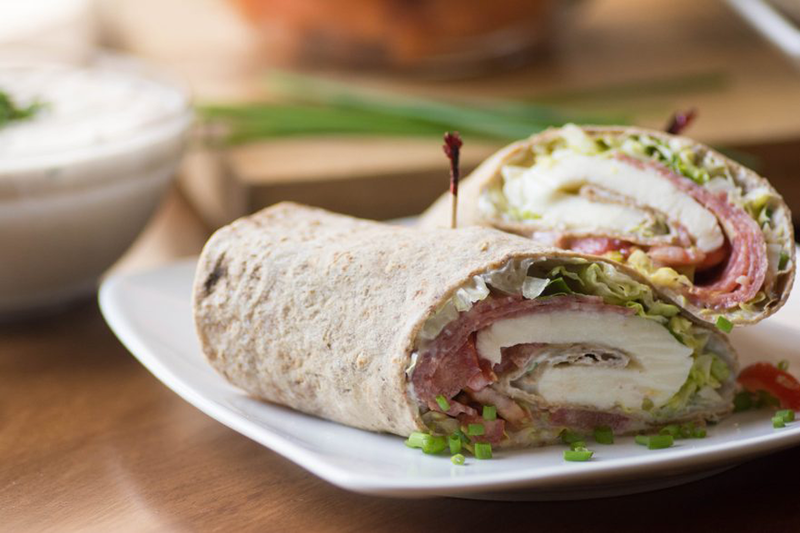 This quick, healthy meal from Stirlist is wrapped in a tortilla so your children can get a burst of energy without making a mess. And the salami, mozzarella and basil will satisfy your more mature taste buds! To keep us on the healthy kick, Lille Punkin put together an easy tutorial to take advantage of one of the area’s most popular harvests — apples! Though the largest harvest doesn’t happen until autumn, these dehydrated chips can stay fresh for a full year if stored correctly. So fill a Ziploc and make sure the kids are well-fed on their outdoor adventures! If there’s one thing we can’t get enough during the warm, summer months it’s brunch! But with at-home recipes and a house with a patio, you don’t have to confine mid-morning outings to the weekend. Make these festive breakfasts any day of the week, then check out Omaha’s best brunches and the city’s best Eggs Benedict dishes to take advantage of the local hotspots. 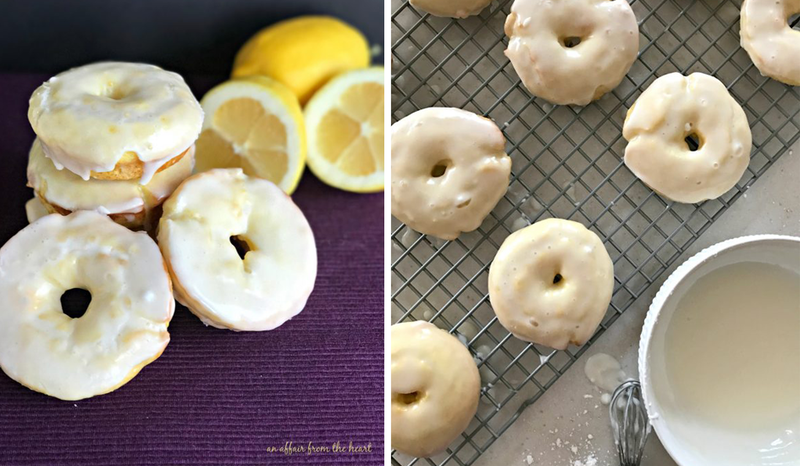 These sweet, citrus treats can brighten a dreary morning or kick off an already sunny day! Because this recipe from An Affair From the Heart is baked instead of fried, we’ve convinced ourselves it’s a healthy AM option. Make sure to grab one for yourself because as soon as the kids get a taste of these, they’ll be gone! 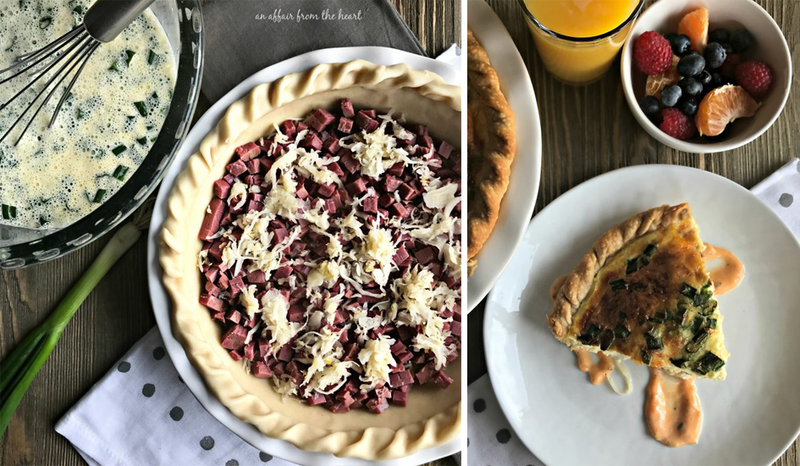 We all know the Reuben sandwich was invented in Omaha (sorry, New York) so we love this breakfast twist on the corned beef, Swiss cheese sauerkraut classic! With this recipe from An Affair From the Heart, you can make a whole pie and keep leftovers for lunch. 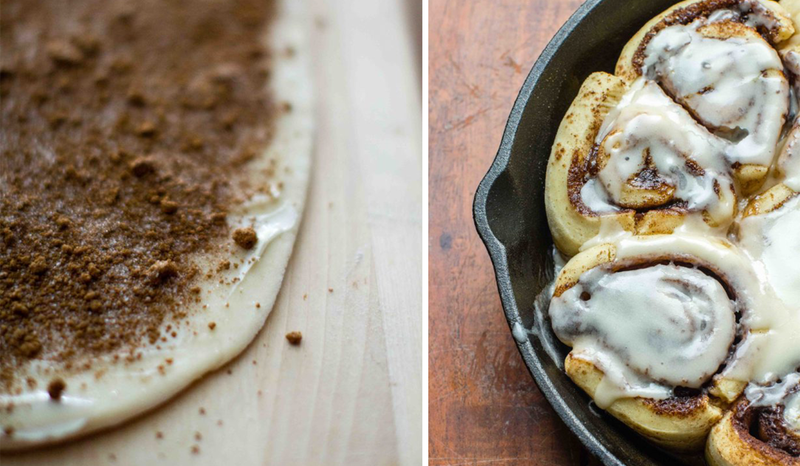 Okay, so Cinnamon Rolls aren’t necessarily a summer dish, but with the kids out of school, this is a great way to keep them entertained in the morning! Delegate a dough roller, a mixer and an icing topper to help make this fluffy, gooey, craveable treat from Bakes in Slippers. Tis the season for one of our favorite Omaha traditions — farmers’ markets. And with our Midwest, agricultural roots, there’s never a shortage of produce, meats and artisan goods in the city. Check out the area’s best markets using our interactive map; then fill your kitchen with the smells of fresh veggies! 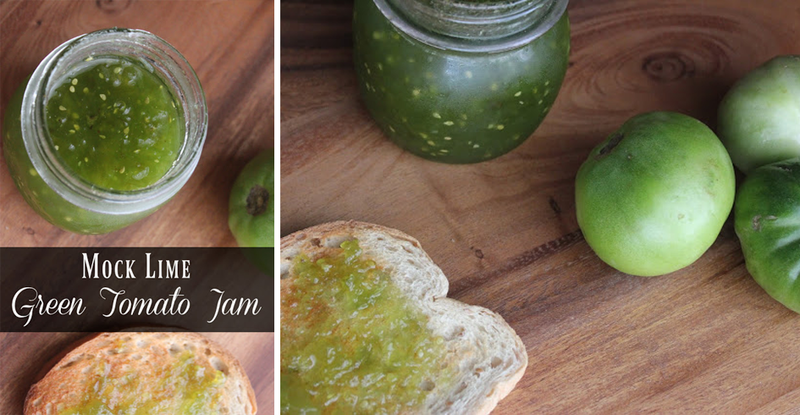 Lille Punkin knows how to get our mouths watering, and Linsey does not disappoint with this recipe for Mock Lime Green Tomato Jam! Fresh green tomatoes and a kick of lime make this a summery topping for any snack. Fresh carrots and fresh parsley are two things you’ll find at nearly every farmers’ market so this recipe from Lille Punkin is the perfect opportunity to take advantage. 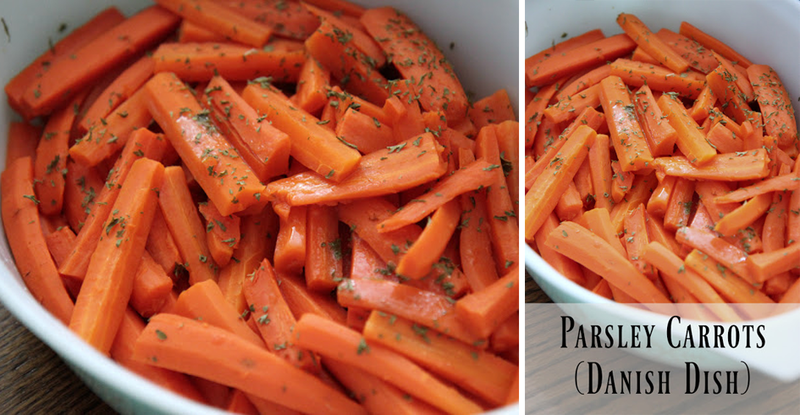 Inspired by a traditional Danish dish, you can serve these cooked veggies as a snack or a side dish with any meal! 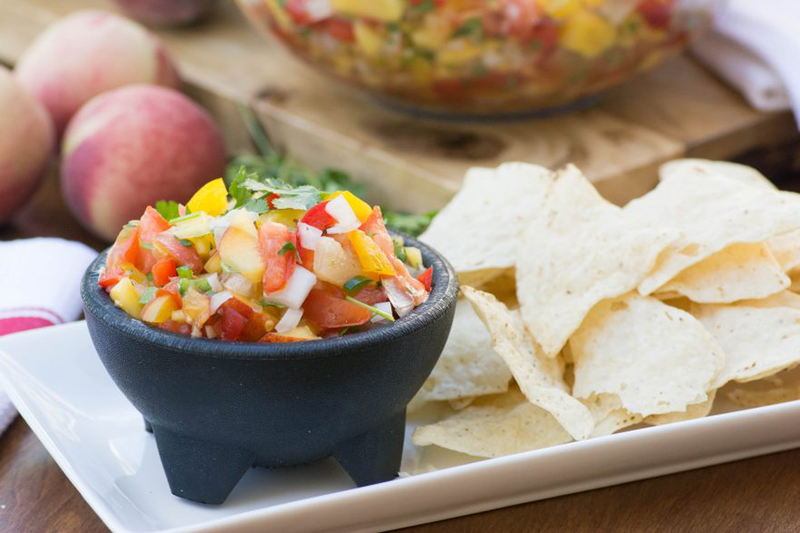 Make Stirlist’s Peach Salsa one time and you’ll be running back to the nearest farmers’ market for more ingredients. It’s packed with fruits, veggies and flavors you’ll want to eat all season — including summery mango, peach and pineapple! This healthy side dish from Stirlist combines a few of our favorite fruits and veggies with a Balsamic Vinegar-based dressing. 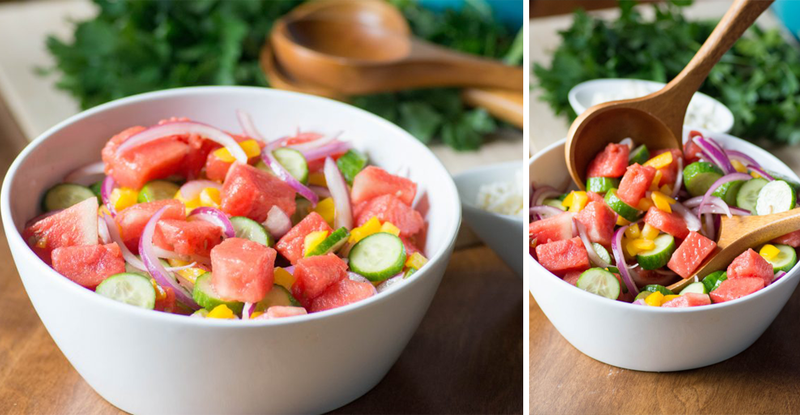 You’ll want to stock up on cucumbers and watermelon with every trip to the market! Whether the kids are setting up a tent to sleep in the wilds of the backyard, you’re hosting an evening around the firepit, or you’re headed to a drive-in movie at Falconwood Park, you’ll want a few sweet and savory snacks! Festive, easy and candied happen to be three of our favorite words — especially when it comes to snack time. 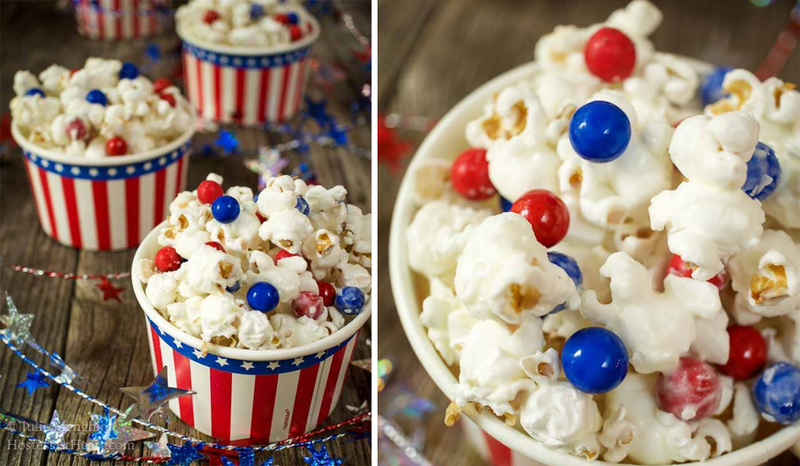 This popcorn recipe from Hostess at Heart comes complete with candy and Almond Bark, making it the perfect camp treat or movie snack! 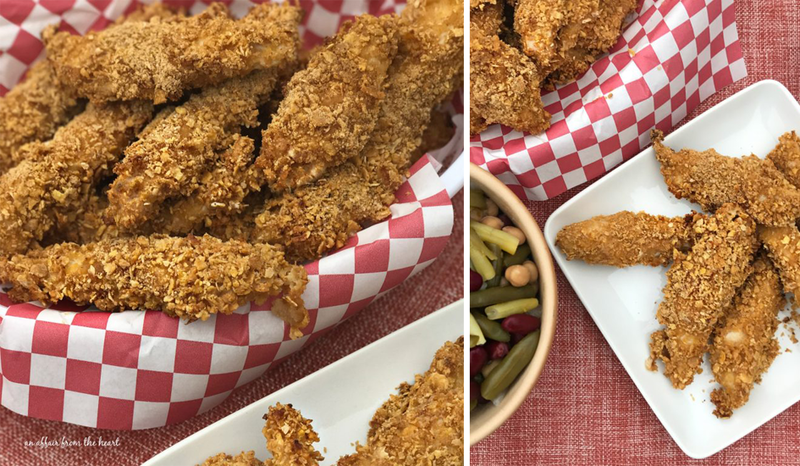 Chicken tenders take us right back to our childhood — just like drive-ins and backyard camping! Make these spicy, breaded and baked tenders before you head out to kick your outing up a notch. 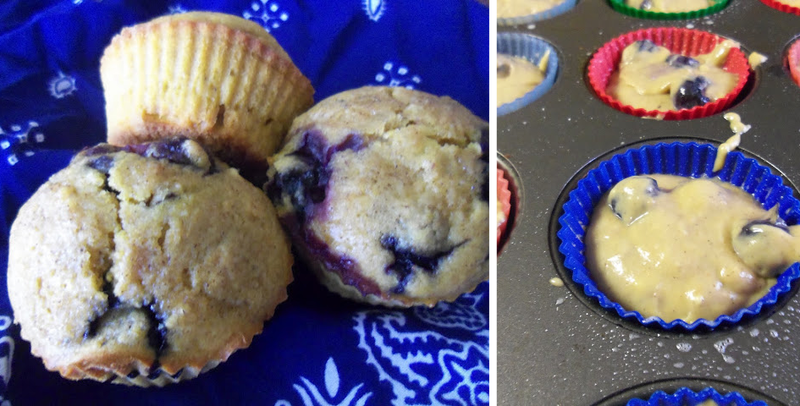 The recipe from An Affair From the Heart includes easy instructions so your kids can help too! We love the idea of setting up a build-your-own taco table to enhance any backyard camping adventure. 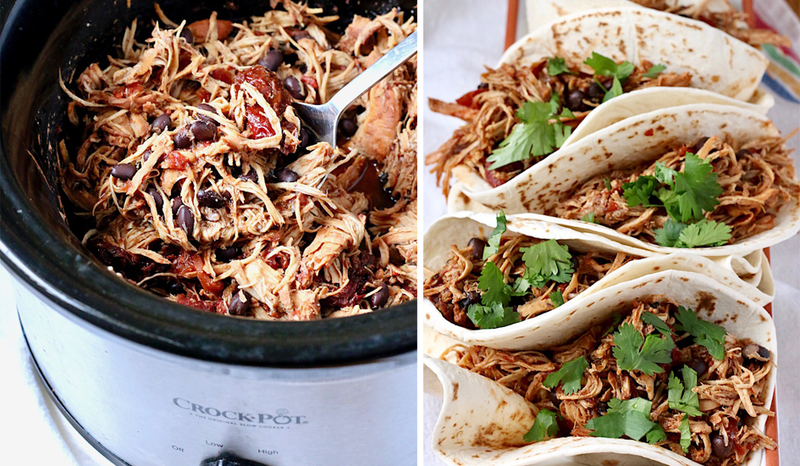 This slow-cooker recipe from The Kitchenarium can cook while you set up tents and get the kids ready then let the guests put together their own creations! Invite your girlfriends over for a starlit cocktail party this summer and impress them all with these summery creations — from beverages to appetizers! If it’s possible to fall in love with a drink, we have. 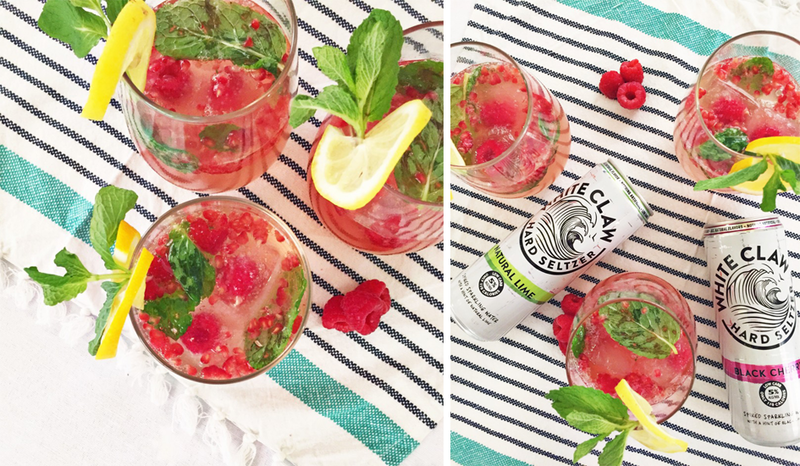 With a total of just 100 calories per glass, fresh raspberries, mint leaves and even Raspberry Rosé ice cubes, this cocktail from Her Heartland Soul is the perfect blend of summer and fun. 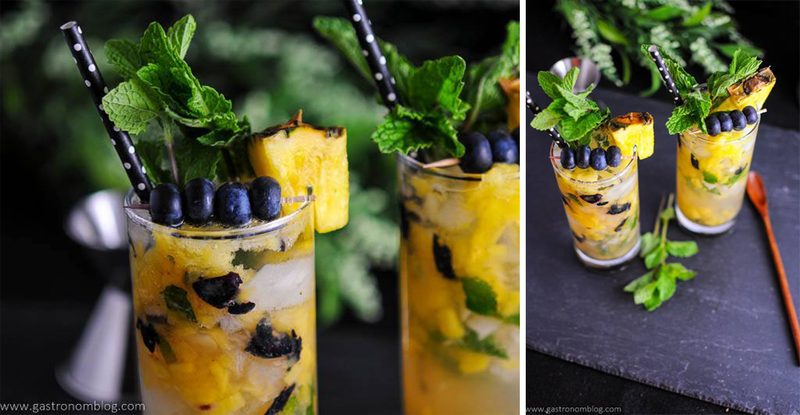 The geniuses over at The Gastronom put together some of the most mouth-watering cocktail recipes so we’re not surprised to be swooning over this summery Mojito. Rum and tropical flavors go hand in hand so the fresh pineapple is a welcome addition. Throw in a few fresh blueberries and we’re hooked! 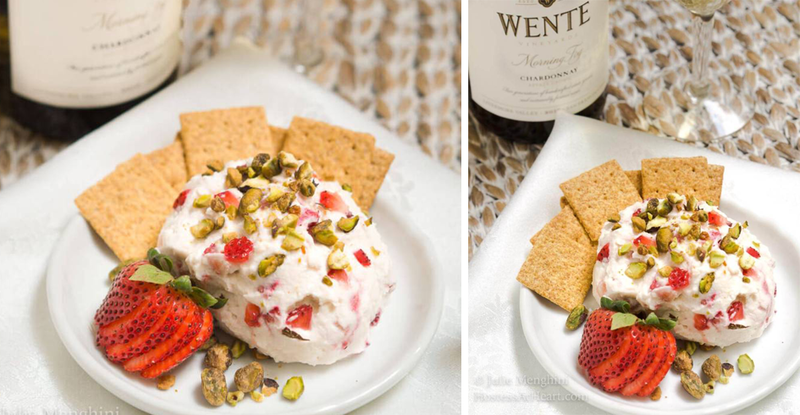 Nothing pairs better with wine night than a cheese ball — and Julie of Hostess at Heart knows it. Her recipe combines fresh strawberries, pistachio and honey for a sweet but savory treat everyone will be clamoring for. Start your kitchen adventures then share your successes (and your failures) in the comments below! Or you can tag us on Facebook and Twitter @npdodge.